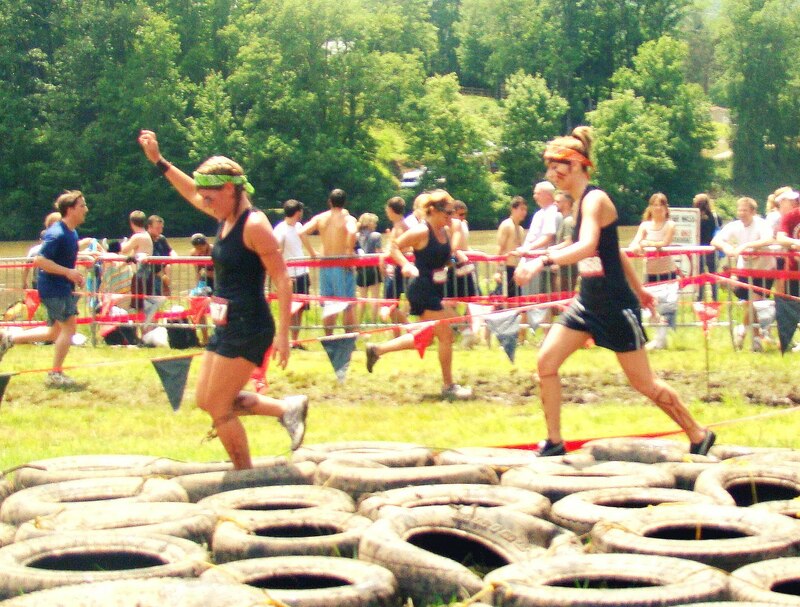 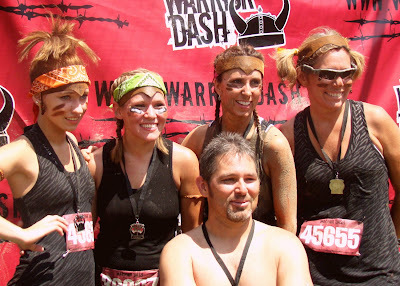 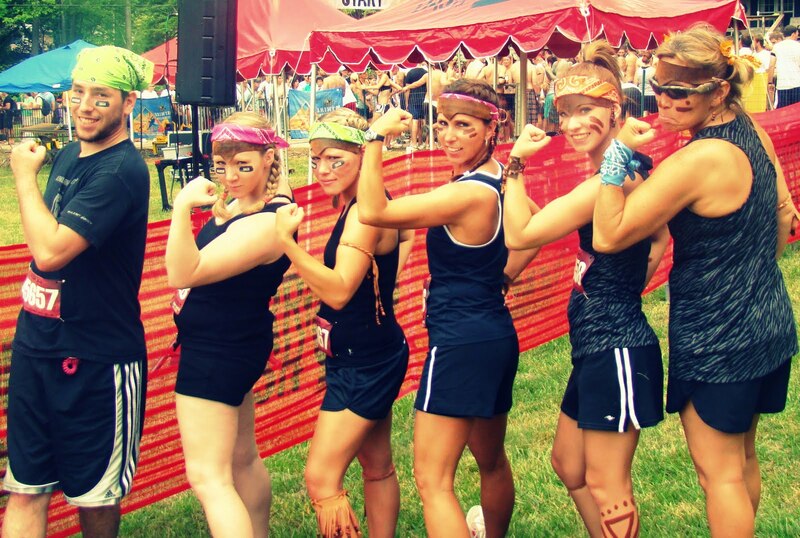 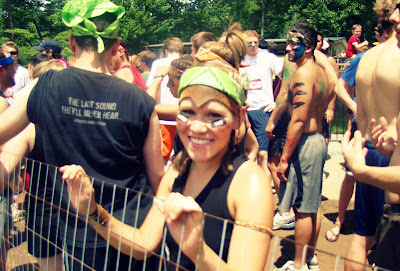 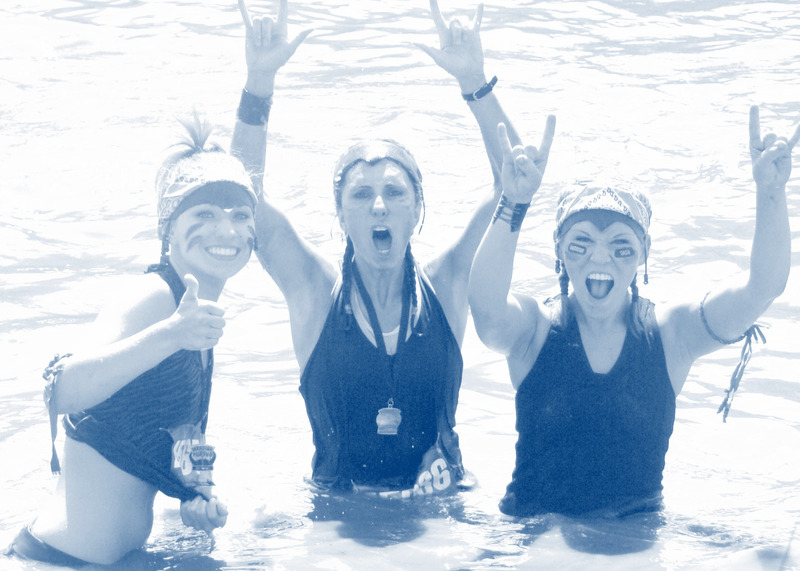 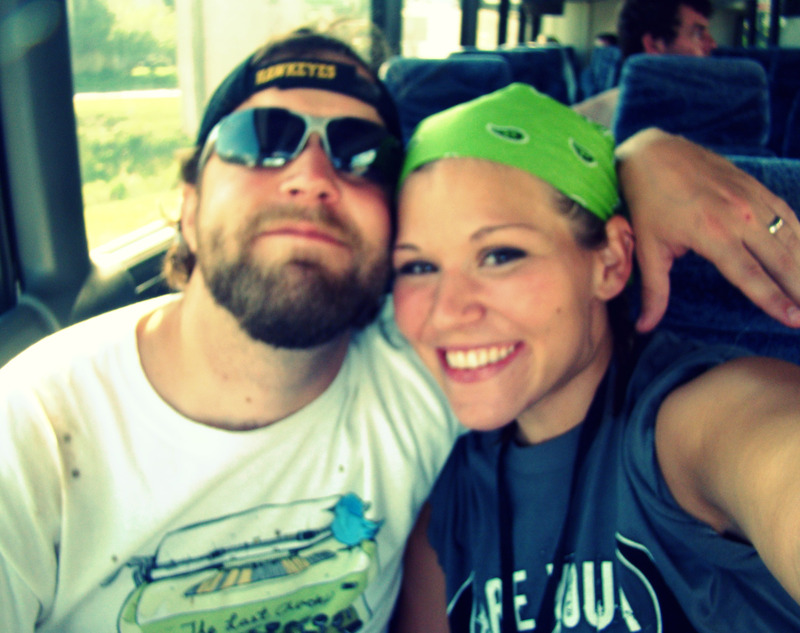 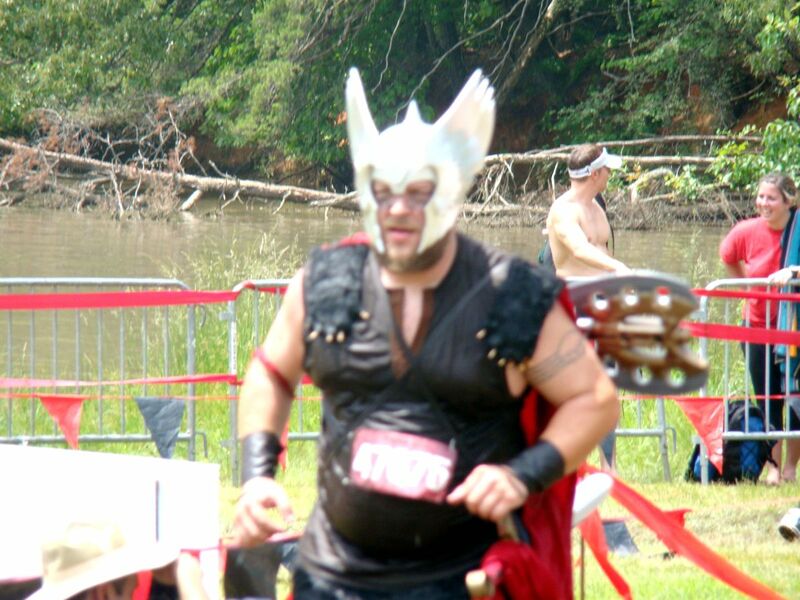 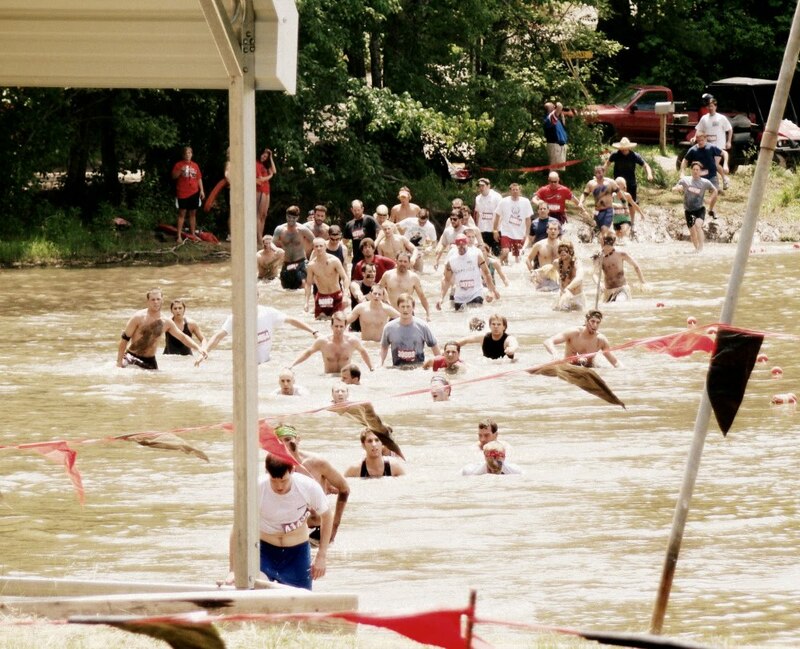 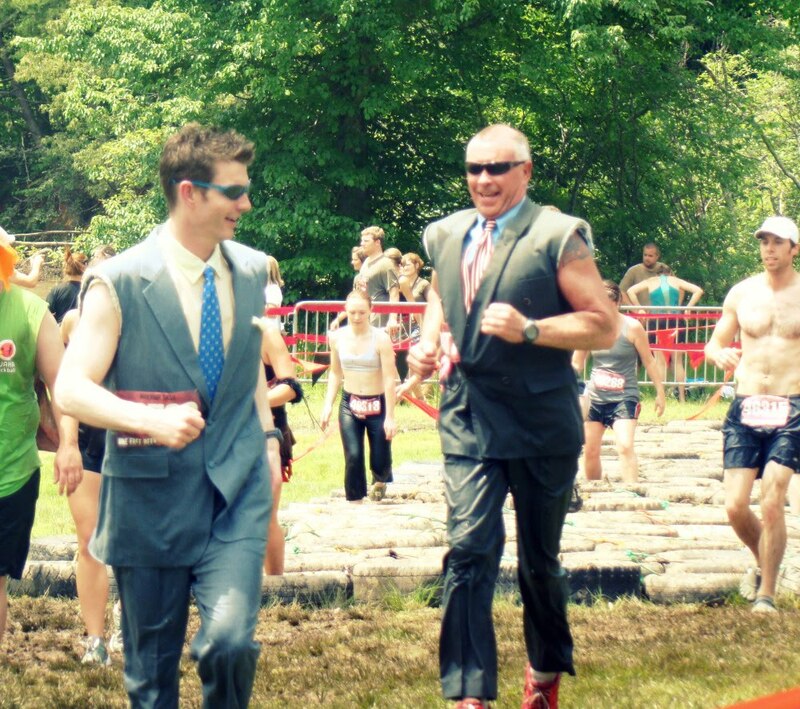 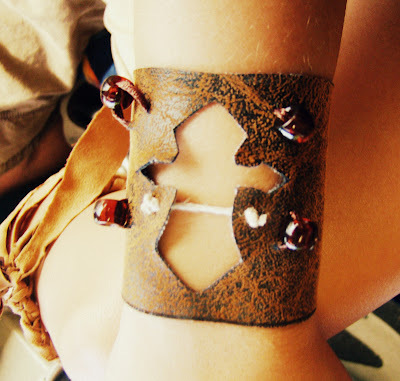 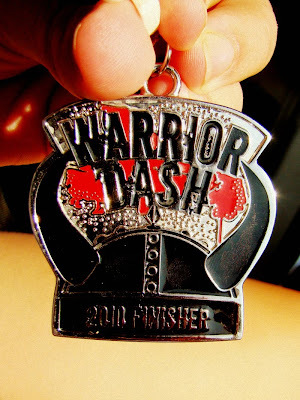 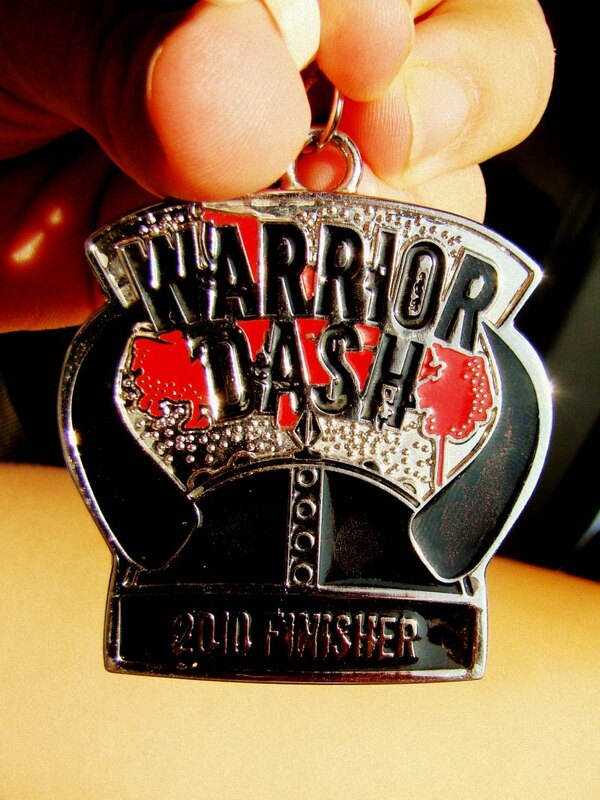 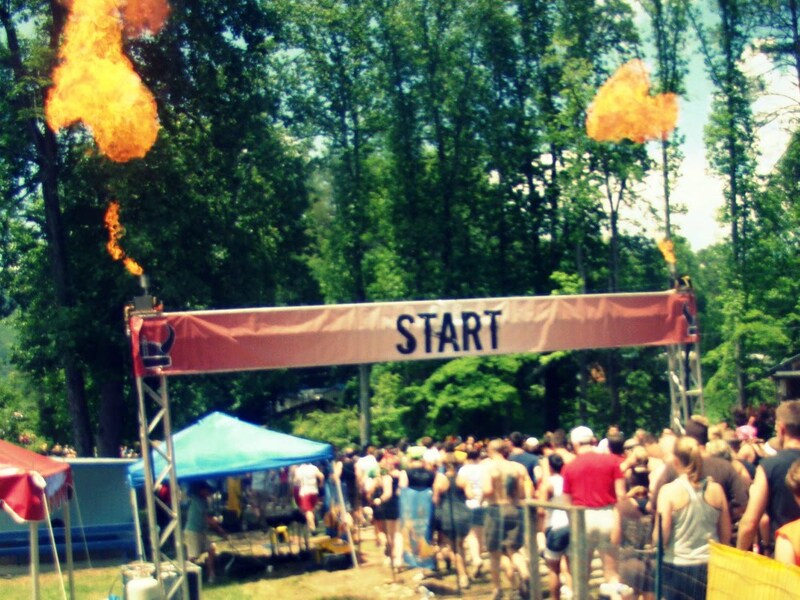 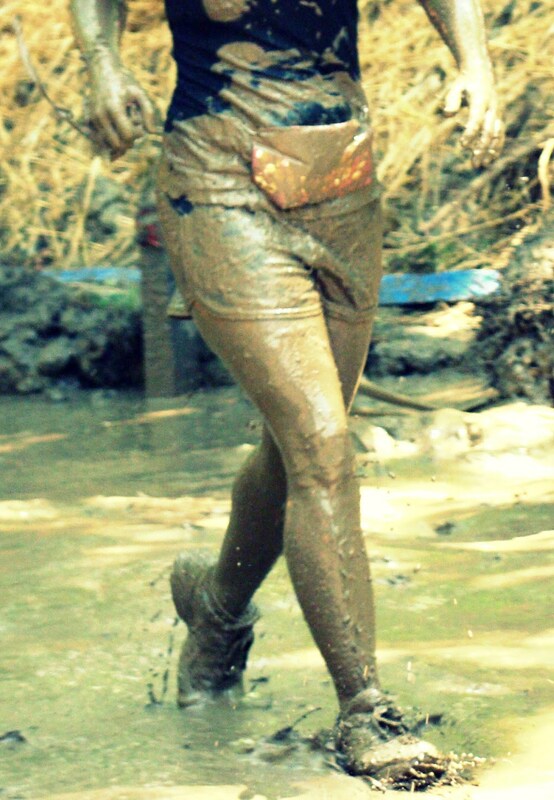 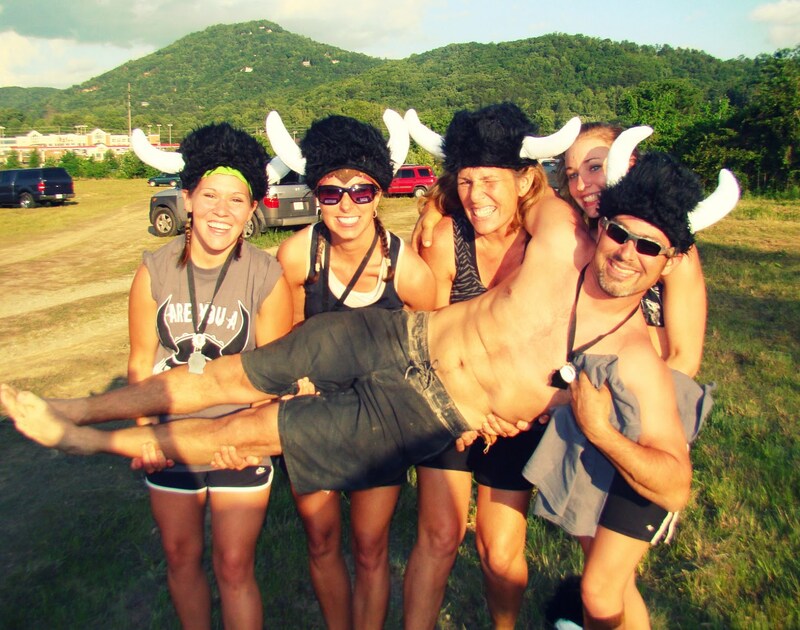 A Lil Story: Warrior Dash Mayhem! 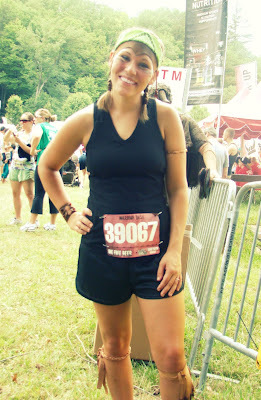 Bibs and time chips on, ready to race! 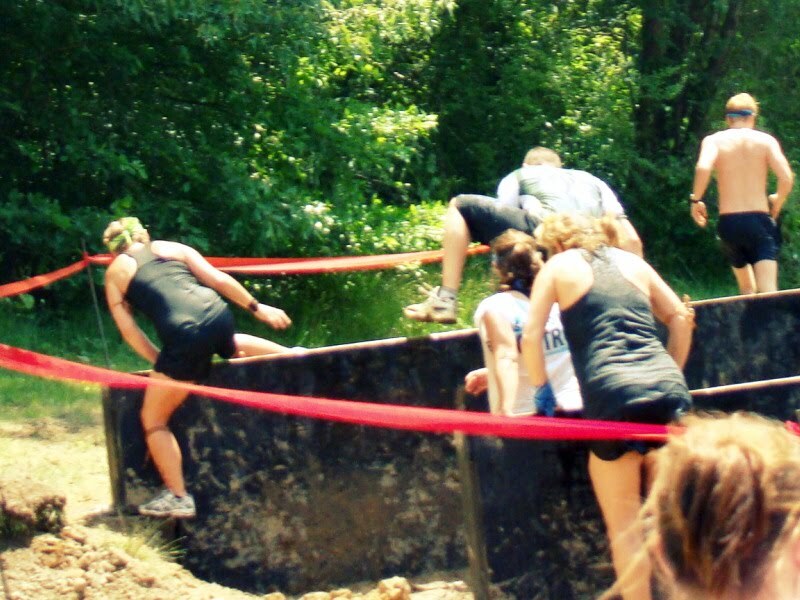 ... and I would NEVER use the side of the path to kinda boost my way over the last wall on this obstacle.